Hi! 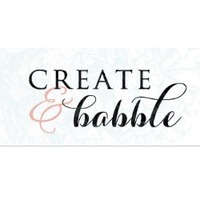 My name is Jeanie and I am the power-tool-loving writer behind Create & Babble. I write about how I make pretty things and make things pretty by sharing my do-it-yourself home improvement and home decorating projects. I have always had a passion for all things DIY; after all, I was raised by a shop teacher dad and a Home Ec teacher mom! Now I love sharing that passion with my readers who enjoy the tutorials, plans, lessons, practical tips, and ideas, that empower and inspire them to do it themselves, too! Will definitely make this project! Love this idea with the ladder. My family will just adore it in our Living Room area. I love anything Farmhouse Style! This would be great to make as a holiday gift for my sister who loves having all her photos on display. Like that the instructions are pretty thorough. The ease in which you can swap out the photos is my favorite part of this entire project. I can always have something new and fresh to look at. This is indeed a great project! Love this project! It will be perfect for our entry. this seems like a very easy peasy project that I could actually attempt as my first one ever!! I'm thinking my youngest daughter would love one of these! thanks for the idea and instructions!! Nice and easy project! I love how easy it will be to change pictures when ever you want! Ladders are one of my favorite decorating tools/objects. I have one for towels, 2 for plants & am planning on making this adorable photo one! First time I have seen it used for this.. what a great idea! Such a cool project idea, thanks for sharing. This is neat. Perfect for my home. Love this so beautiful and would make it easy to switch out photo's as often as you would like! Love this! I don't have a coat closet this would be perfect in my sunporch before you walk in my side door. I like that you made your own cleat to hang it. I have just the spot for this! I will be making this as I don't have a coat closet. I just love this. I even have the wood for it! We desperately need one of these, all of a sudden there are coats everywhere. I could do this myself with these plans. Nice rack! This would be great for my family. Love this idea. Thanks for the idea. Beautiful and such a wonderful idea it can also be used to hold keys on empty hooks I'm thinking love it. Festive and unique. Great idea to use for my walk-in closet, thanks! Awesome project. Such a clever idea. Love the colors you used. What a fun project. This is a cool craft! Love this idea! Such a cute + creative project!! I have a list of to-do projects but this one is going on top of the list. LOVE THIS! This is such a cute and easy project and I love the colors you painted them! This is such a cute project and I love that it has a secondary purpose! I love DIY projects a lot of our furniture and décor items was handmade by me and my husband. It's nice to be able to design things the way you want and create your own furnishings. I love the pumpkins they are beautiful and the colors are nice. These are so cute I want to build one! I think it is so cool to be dual purpose but I would also love to put plants in it! What a darling project! Pretty straightforward and doable! I love these boxes! These would be perfect for my front porch. This is a great idea for a kids' game in the fall! This is a great idea - I've been a huge Yahtzee fan all my life! However, there are 5 dice in the game, not 6!! I'm also wondering how well the dice roll/stay up on grass - it would have to be cut very short (or, there's the option of playing on a harder, flatter surface such as concrete). Thanks! Love this!!! How fun for outdoor play time and what a great gift this would be!! Where did you find the basket? Awesome! Great job at getting the kids outside and active! That's the exact same problem I've been having. This is a great solution. No more going through tote after tote after tote looking for the color I need! Awesome! Do you have the plans?